ALPHA Countertop Trim Kit was created for those who work with pre-fabricated countertops and have the need to trim the piece for a custom fit. The kit combines our AWS-125 Wet Stone Cutter with a universal carriage assembly and a 4’ guide rail to create a clean, straight cut. All of the products are made of high-quality construction and are easy to setup and operate. A must for anyone that may be cutting and trimming slabs! 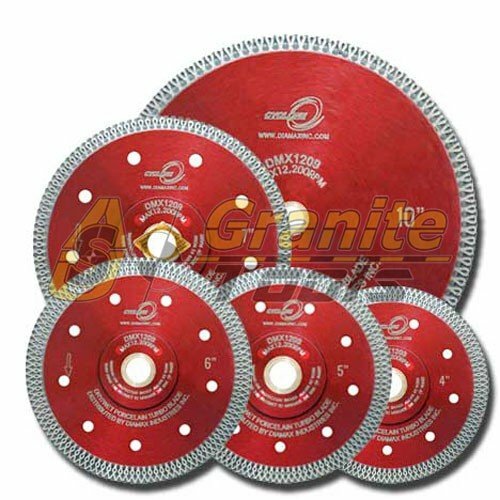 High quality straight edges constructed of sturdy cast aluminum. When used with the AWS-110 or AWS-125, the Carriage Assembly allows the saw to traverse the guide rail and perform a cut that is straight and true, time after time. Additionally, the system was designed to allow for an easy transition from cutting to polishing without the need to re-position the rail. The guide rail carries the weight of the saw and provides stability, allowing for a high quality machined cut. Perfect for the professional fabricator as well as the do-it-yourselfers. Alpha® warrants the AWP158 against defects in material and workmanship for a period of 90 days from the date of original retail purchase. In the event that your Alpha power tool(s) are defective, and/or inoperable, they must be returned to Alpha Tool for inspection. This is the standard policy for all new (out of the box) and used Alpha power tools. Your item(s), will be inspected by Alpha, and a determination will be made on how to proceed with the warranty process.